Why 3 Is The Magic Number When It Comes To Packing? The internet is full of tips and packing hacks to help you maximise the space inside your suitcase before jetting off on holiday, but very little is said about how to streamline your packing to make sure that you use every piece of clothing that you actually take with you. Many of us are guilty of ramming our cases fit to burst with as many outfits and pairs of shoes as we possibly can, only to discover that we’ve used just a small fraction of what we’ve lugged abroad with us when we return home. 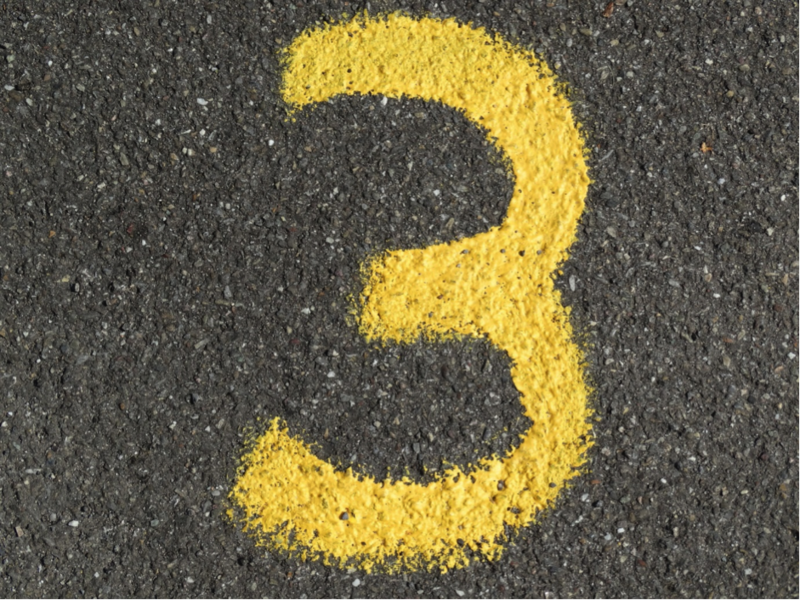 That’s why we’ve devised a new, streamlined system using the ‘power of 3’ to help you avoid packing unnecessary items and to make the most of your available suitcase space. Use our extra large organiser cubes and pack in more in "less" space. 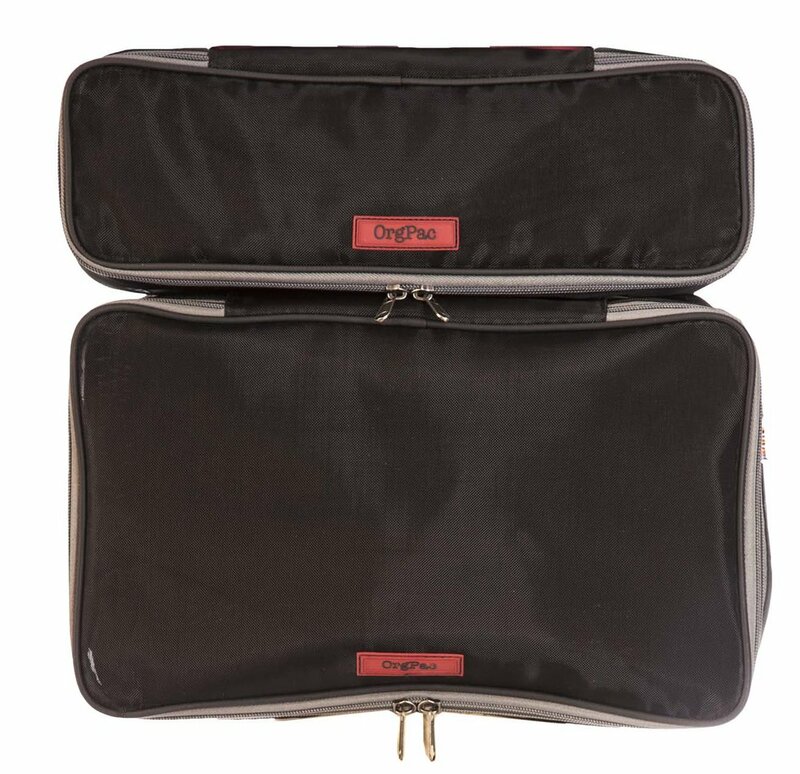 The OrgPac allows you to compress a weeks worth of clothing and cleverly helps you get what you need when you need it without rummaging! Layering is key to help you make the most of your holiday wardrobe, so select 3 different types of tops that you can use as a base or outer layer. This can include strappy camisoles, shirts or cardigans that you can use either on their own or on top or underneath something else to create a different look. Then, select your favourite tops of that variety and lay them out flat on your bed or table before selecting what you’ll need for your bottom half. Next, choose 3 types of colour-co-ordinated bottoms such as shorts, trousers or skirts and again select 3 of each type. Tights/leggings are worth the trouble as they can be used on their own for chilly nights or layered under summer trousers for cold days. Make sure they are basic foundation colours so that they all match the tops that you've chosen. You'll have plenty of options to help you mix and match garments to create many outfits. At this point, you’ll have eighteen individual garments that you can use to make plenty of different looks, so you’ll have more than enough for a seven-day holiday. After a week, rinse and repeat! Finally, select 3 pairs of shoes including a pair of walking shoes, flats (sandals) and heels/wedges (if necessary) that will help complete your outfit and match them with 3 of your favourite accessories. Include some bling in your choice of accessories to brighten or posh-up your outfits. A fancy belt or dress watch can transform a summer day dress into evening wear. And if accessories are small, like earrings, why not bring 3 of those? Scarves are particularly useful on holiday as they can be worn several different ways, used as a sarong if needed or just to keep you warm. So choose some accessories that will match the items you've already popped into your suitcase, and you've nailed streamline packing using the magic number 3.